Yesterday I was conducting a catering consultation for a prospective client. 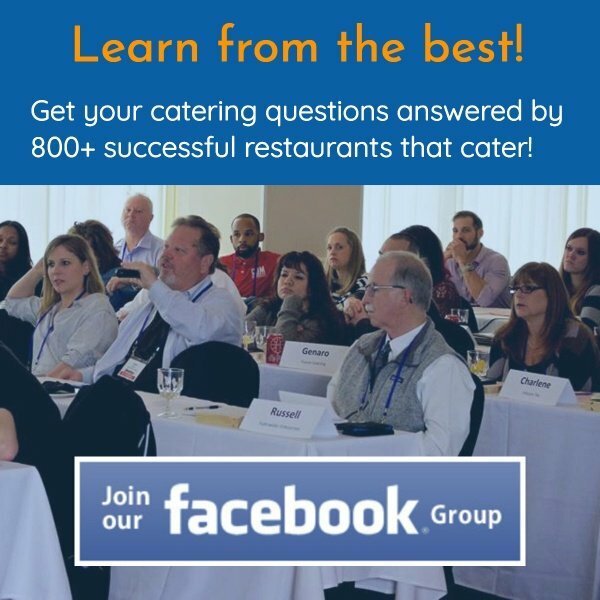 I make about four of these sessions available each week for restaurant owners serious about growing their catering business. At no cost, I evaluate their catering menu, websites and give a handful of low cost, easily implementable ideas to grow catering sales. What I see time and time again is most independent restaurant owners have a very limited advertising and marketing budget. When that is the case, I recommend taking 100% of your advertising budget and plough it into growing catering. 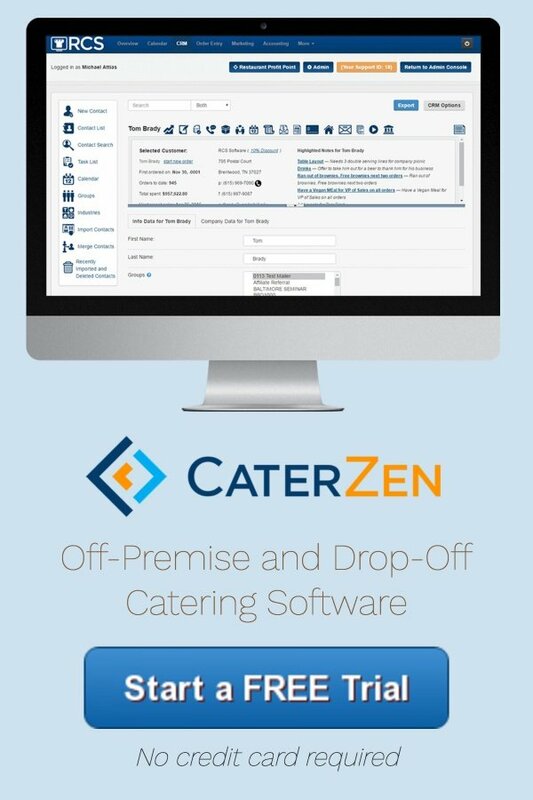 Catering sales are a much higher check average sale; you get “paid” to market your restaurant at each catering and a great catering client is worth thousands a year to your business. Dollar for dollar this strategy makes sense. This particular prospective client and I were discussing his current strategy for acquiring new dining room customers. He mentioned Groupons and marriage mail offering a discount. He was thinking of sending out a free $10 gift card to folks in his trade area. I pointed out that discounting attracts coupon crack addicts. They’ll show up for something free or heavily discounted, but most won’t convert into full price paying, loyal, repeat customers. Really? I spend over a thousand dollars a month in dining out. I don’t use coupons and none of my friends use coupons. Before you dismiss it to me or my friends being “rich”, let me assure you there is no correlation between my net worth and income. I pay myself enough to live and take care of my kids. The rest gets ploughed back into growing my company. I believe you attract the customers you want. If I want to attract rats, I’ll use cheese as the bait. If I want to attract flies, I’ll put out dog $#!^. Not every restaurant has to sell at low prices or coupon. My favorite pizza place in the world is Antico in Atlanta. They just opened a location in Nashville called DeSano’s (they had to change the name for trade mark reasons). In two weeks, I’ve eaten there four times and turned on a lot of friends. They are not cheap. I paid around $24 for a pie maybe the size of a medium with a few meats on it. It was well worth every dollar. My buddies Gabelman and Rich agreed. You can see a picture and catch a video of me attempting to spin dough below. Don’t laugh too hard. Why do they get top dollar and places like Little Caesar’s almost pay you to order from them? This secret will allow you to command more for your catering and dining room menu. It all boils down to education. The owner of Antico has done a great job of getting his story out. He went to Italy maybe five years ago to help rebuild the basilica where his grandparents married. While there, a family friend introduced him to someone in the pizza business. 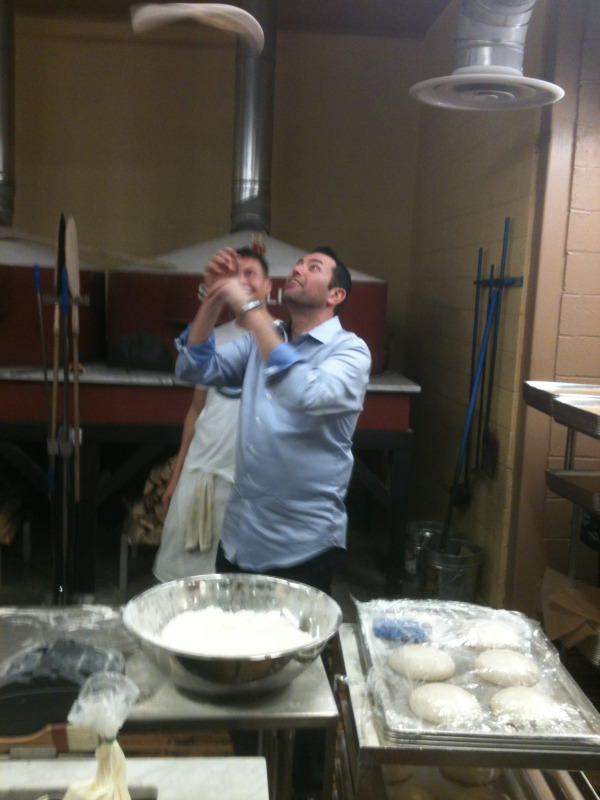 He learned how to make real Neapolitan pizza and brought it back to Atlanta. He shipped over three, ten thousand pound, wood fired pizza ovens. He has dough machines from Italy that have spinning bowls, not turning dough hooks. He FedEx’s in buffalo mozzarella. He gets special bottled water brought in with his pH level specs. I could go on and on. This guy has done such a great job educating me about why I should pay twenty-four bucks for a medium pizza, that I share his story with everyone. He has converted me from customer to evangelist. His place in Nashville is in a terrible, hard to reach location and he was pretty full at nine last night. If you want to command higher prices, you must be worth it. You must educate your customer to why you are more expensive. At Corky’s, only 2% of the ribs produced in America made our standard. You may not appeal to everyone, but those of us willing to pay a premium price are more loyal and complain less. Remember, you deserve the customers you have, because of how you market yourself. I’ve personally found as RCS has raised prices and service offerings for a really great value, we’ve increased retention rates. We’ve also attracted clients more engaged in building their businesses. For those of you who celebrate it…Merry Christmas!!! For the rest of you, you might try Jewish Christmas; Chinese food and a movie!